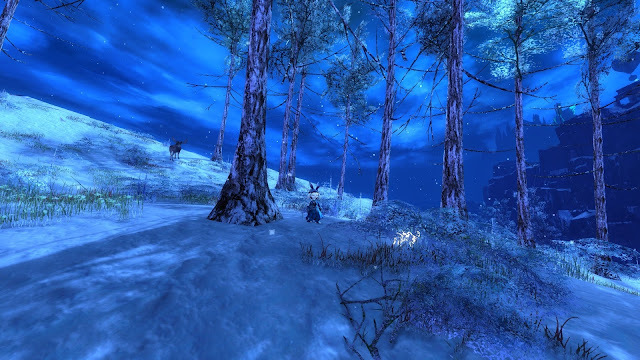 On Friday, ArenaNet announced a "Welcome Back" month for Guild Wars 2. More than a month, in fact; five weeks, starting Monday March 25. "There will be livestreams, guides, and some more surprises that I won't spoil now, but there will be a full outline and schedule on our site Monday morning. Today's post is just a heads-up on various channels to get the word out a little bit in advance, so those who are interested but don't remember their login info can work with our CS team to get that taken care of. It's so frustrating when you want to participate in something that has already started and can't remember your password, so we thought a head start for those people would be less stressful." Does that make sense? Are people who can't remember the password for a game they no longer play likely to be on the forums in the first place? Or following Twitter or Facebook or whatever those "various channels" might be? Maybe they sent out emails as well. I get a lot of emails from MMORPGs I haven't logged into for years, telling me about their promotions and events. Of course, since I tend to use unique adresses for registering games, adresses I never visit and don't link to my main account, I only see those offers on the very rare occasions I log back in to check something. Usually years too late. Still, it's a well-established route for marketing departments. A back channel to the past. As Holly Windstalker Longdale openly acknowledged in that recent PC Gamer interview, for an aging MMORPG, luring former players back into the fold is a higher priority than attracting people who've never played before. It really does make sense. After all, as a six-year old game, let alone one twice or even three times that age, you'd have to assume that just about anyone who was ever going to give you a run would have gotten around to it by now. No need to feel blue. We're still here. Waiting. The first few years post-launch offer a handful of well-known opportunities for new account acquisition. You can bring your game to a different platform - console conversions must be expensive to produce but they do open a door to an entirely fresh market. Less spectacular but worth a shot is a Steam launch. 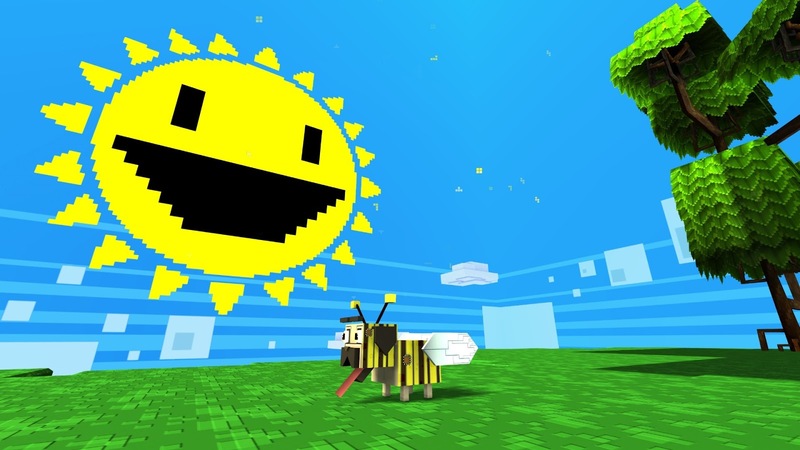 Steam isn't really a famous breeding ground for MMOs but it's not nothing. If you were canny enough to start off with some kind of entry barrier, a box or digital download with an up-front fee, say, or maybe even an actual, honest-to-god subscription, always assuming that decision didn't sink your entire operation, there's a major PR opportunity available when you announce your game is going Free to Play. That's a one-time deal, though, and it can smack of desperation. Last and very definitely not least, you can run some kind of permanent free trial, allowing the curious and uncommitted to try before they buy. That became pretty much industry standard log ago. Whatever you do, even if you eventually try all the options, in the end you run up against the same buffer: your game is old and getting older. Potential customers have either heard of it and already rejected it or they are just now discovering it only to find out it's been running for years and everyone playing is way, way ahead. Your elderly MMORPG already starts with the major disadvantage that, from the perspective of a new player, the graphics look sub-par. Possibly stone age. For those who can get past that, the staggering amount of legacy content, all of which comes before you even get near to the part of the game everyone else is playing, is more than enough to bring the shutters down. Did I mention we have sitting in chairs now? Tempted? In recent years companies have tried all kinds of bootstrapping to get new players over the hump - super-fast leveling, instant max-level characters, flat-leveling the entire gameworld. They all come with issues of their own. You can accelerate or remove the leveling process but there's no way to instantly install all the necessary knowledge of systems and mechanics your end-game players take for granted. It's not much more fun floundering at the top than at the bottom. That's why people who used to play but don't any more are seen as a more realistic commercial prospect. There's the currently-hot nostalgia ticket to sell them for starters. Re-working your game so it looks a lot more like the one returning players remember seems to be well worth the expense, if you get it right. Your game probably needs to have been around for quite a while before you play that card. The current Live game needs to have diverged so far from the original conception that bitter veterans hate it and all it stands for. If you alienate them just enough you can bring them back on board as advocates when you appear to bow to their conviction that things really were better back in their day. Rift probably failed mainly on that count. Once the new server reached the first expansion, Storm Legion, there just wasn't enough difference between Prime and Live. The game never had enough periodic content to run a true Progression server. It might have done better with a straight Classic server, maybe even one with an expiry date, which would wipe and re-start every so often, allowing transfers to Live first, of course. Starting over clean can be a big draw. Sometimes a Fresh Start server is all that's needed to re-kindle interest. You don't even have to play the nostalgia card with a retro-revamp. A level playing field is enough. Maybe a few tweaks, perks and inducements along the way. A slight variant ruleset. Some titles. A leaderboard. The big risk there is fracking your existing playerbase into smaller shards but with luck you'll give everyone a jolt of excitement and when it all settles down you'll have a few new customers on the back of that buzz. There's no need to worry. You won't feel silly. We all feel silly. Brand-new servers have one immense advantage when it comes to persuading former players to return. Everyone starts in the same place. It's almost the same as a new game except for one thing: when confused and lost players plaintively ask questions in general chat, instead of crickets chirping or, worse, sarcastic trolls suggesting a swift return to WoW, they'll get help and even encouragement. I'm seeing this every day on EverQuest II's Kaladim server. The population is a good mix of current, active players on vacation from Live, lapsed members of the flock re-discovering their religion and a sprinkling of "I wish I''d tried this game years ago". Questions don't just get answered, they spark amiable discussions and often lead to reminiscence and general bonhomie. It's a well-trodden path by now. Any marketing department worth its red suspenders should be able to slot in several pre-fabricated options, tested and found successful in other games. At worst it's a burst of publicity for cheap. At best it's a shot in the arm for sales and retention. 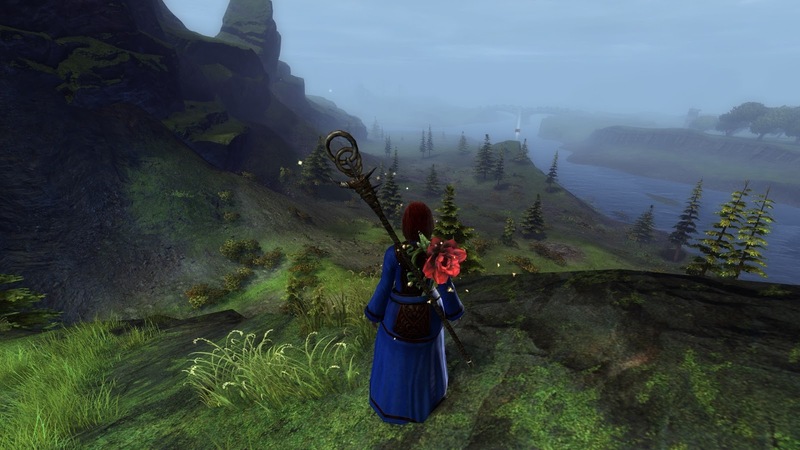 For a few MMORPGs, though, there's a roadblock standing in the way of those easy wins. Classic, Progression, New Start: all those options come with a suffix. Server. What if your game evolved to the new normal of a few years back and did away with the entire concept of separate shards? When you threw that bathwater out the possibility of farming the nostalgia market went down the drain with it. So did any chance of starting over on a clean page. You put all your eggs in one megabasket and your chickens hatched and came home to roost. There are things you can get on top of that you never got on top of before. This isn't one of them but trust me. All MMORPG hobbyists know what a hurdle re-starting on a Live server presents. All the new systems you don't understand. All your old assumptions that don't follow any more. The drops and rewards that mean nothing to you. The jargon in chat you can't unpick. All that stuff in your bags and banks you don't know whether to destroy or broker or sell or salvage. The understanding that you know less than everyone around you and they probably don't care, just that you stay out of their way. If you run a campaign to get former players to log in again but all you can offer them when they do is a world that looks familiar but feels alien, what are the chances they'll hang around long enough to acclimatize? 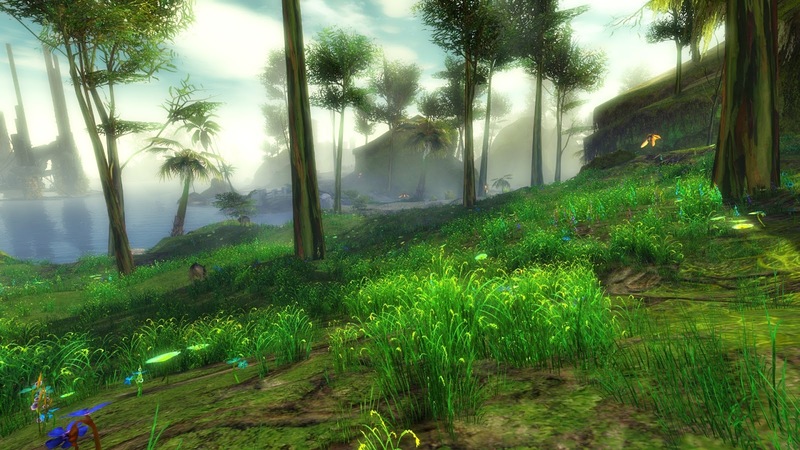 The good news from ANet's perspective is that GW2 hasn't really changed all that much. You can still fight centaurs and Sons of Svanir until the dolyaks come home. You can do the same events on the same maps that you did in 2012. You can join the World Boss train and knock over a giant loot pinata every fifteen minutes with thirty new best friends you'll never have to talk to. The races haven't changed, the Personal Story is the same and if you haven't bought either of the expansions there aren't even any new classes and hardly any new maps. Other than a bunch of giant gerbils and lizards running everywhere with player characters clinging to their backs it all looks - and plays - pretty much the same. If you like it enough to pay some money and buy the expansions or the Living Story packs, well you'll be on exactly the same terms as the rest of us were two or three or four years ago. All the maps are still active for the group stuff when you need it, although most of it was single-player content anyway and, while Anet's claim that they have the best community in MMOs may be somewhat overblown, by and large it is pretty welcoming. If you have questions you'll get answers, provided you ask nicely. When you get right down to it, though, nothing much has changed. So what's the point of this five week long "Welcome Back" event? Better than not having one, I suppose. And it co-incides with the annual rerun of the ever-popular Super Adventure Box, something I'm sure is no co-incidence. There will be plenty of drop-ins for that so why not see if some of them can be persuaded to hang around? I'd be very surprised to see this result in any significant, lasting uptick in activity, all the same. GW2 has just about the lowest barrier to re-entry of any MMORPG I've ever played. People drop in and out literally all the time. I see names every day that I haven't seen for years. My friends list flickers and sparkles like witchfire and always has. I wonder how many how many genuine ex-GW2 players there can be, anyway? People who really did stop playing a long time ago and never came back. And of that demographic, how many ever would? It can't be that they wanted to but it was too expensive or too awkward, surely? It's free and simple and always has been. 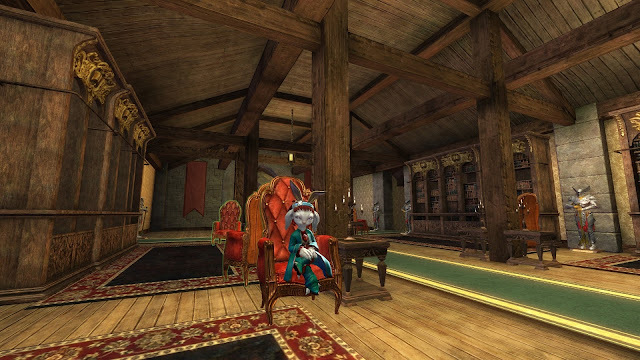 It's the Hotel California of MMOs. If anyone did leave for good, most likely it was because they never enjoyed the game much anyway or didn't like what it turned into once the short trip to the cap was done. Has any of that changed? Not really. Endless fractals. Dead dungeons. Gutted WvW. Grind, without end, for everything, everywhere, always. Raiding, I guess, but if you'd left because no raids wouldn't you have come back when raids? And if you left because raids, well, we still have them. Worse luck. No, it all seems much the same to me. Except I'd take a Launch State Classic server in a heartbeat so I guess I may have been boiled in my tank. Tomorrow we'll find out if ANet have anything more up their sleeves to entice former players to give the game another shot. There's some speculation about things like rentable gliders or mounts in Core Tyria open world to tempt returners into ponying up for the expansions but they'd still have to pay for the real thing. Maybe a sale on Heart of Thorns and Path of Fire? Or the two as a bundle? If there's no financial or in-game incentive it's hard to see the value of a promotional push that comes down to just some streamers saying how much fun the old game can be. You probably know that if you ever played. Or you disagree, in which case I don't see much to convince you otherwise. And even if a promotion succeeds in getting players invested it's hard to keep them feeling the love. 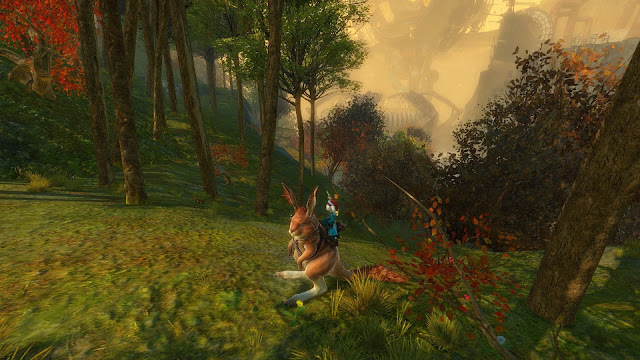 The huge boost in numbers World vs World saw as a result of the recent, super-hyped introduction of the Warclaw mount (plus a double WvW XP week) has already dissipated, leaving nothing more behind than bad feeling and disgruntlement to show it ever happened. Still, better to try than not try, I guess. We'll find out tomorrow if there's anything to get excited about. I'm not holding my breath. I'm an ex-player- was playing irregularly enough when Path of Fire came out that I didn't feel like forking over some more cash for the expansion. Then the Jessica Price controversy happened and made me a lot more reluctant to go back. So I'm not really sure what they could do to get me to reinstall. I'd want to see a deep discount on the expansion + all subsequent Living Story to "catch up" financially, but I'm still not sure why I'd go back to it when there are so many other games out there. PoF is an interesting point to drop out. I think it's fair to say it was a much more popular expansion than HoT. It was designed to be crowd-pleasing. I didn't like it when I first played through it and the further we get from it the less I like it. I never go to any of the maps if I can avoid it and I've only taken one character through any of the content. With HoT I played through the entire thing on two characters, cherry-picked my favorite parts on five or six more and I still go to HoT maps fairly often just to enjoy them. I thought Dragon's Stand was one of the best pieces of content ever added to the game. Literally everything snce HoT has been a dowhill slide in my opinion. If you arrived at PoF not really feeling it, you might be pleasantly surprised. A lot of people who didn't like HoT and the post-HoT game were. On the other hand, if you don't want to buy another expansion before being convinced there's something in the game for you, you won't find anything has changed at all since you left. Everything that's different requires PoF to access, including all the post-PoF content. Bit of a Catch 22. Now that this has started, there are a few details at https://www.guildwars2.com/en/news/welcome-back-to-guild-wars-2-week-one/: 50% off the expansion, first episode of Season 4 free to unlock this week. Since this is a five week thing and there are five episodes, I'd assume that the plan is to give away the full season by the end of it. It's still a bit odd that I haven't heard about it anywhere other than here- haven't seen any ads or gotten any emails, or even seen chatter about it on another forum I'm on where there's a lot of discussion about MMOs. Personally, my relationship with GW2 is in a very odd place right now; and I’m probably just not the target returning player audience atm. I’ve essentially exhausted all possible content I’m interested in. I have no goals with strong enough pulls to keep me grinding, just a couple of lingering chievo to-dos I might get around to doing “someday when I regain interest” aka nearly all chievos of LS4 and legendary medium when I can deal with more spreadsheet juggling. There are some classes and builds on the “would be nice to try and learn” list, but going through the same open world content is a bit boring, and taking an unlearned class into group content is a recipe for ego suicide/performance disaster. Wealth-wise, I stared at a 50g exotic warhorn in my inventory the other day, unable to remember where it came from - did I buy it from the TP, or had it dropped from one raid or another? Should I sell it for the gold or salvage it to collect one more skin? Then I shrugged and salvaged it - it felt meaningless either way, the 50g could be earned in a week or two, the skin which I’d probably wouldn’t use became another tick in a skin collection. Veteran malaise where everything feels meaningless, I have it bad. I can think of one thing that would re-kindle a modicrum of interest. Customizable NPC henchmen/buddy system. The playerbase is split to a point of no return - playing with newbies is chaos brought on from lack of knowledge, playing with veterans beyond your level of practice and expertise unpleasant for all parties. I haven’t visited any of the recent fractals or CMs because it is neither fun to carry or be carried - I would end up mostly soloing through anything old if surrounded by newer players, and end up face first and booted out of anything more experienced between my embarrasing lack of practice and incongruent 30k AP image. I’m certainly not spending more time looking for and investing in a static fractal group, on top of an existing static raid commitment. What I need are ways to progress in power and existing content that are achievable solo and can be looked forward to/worked toward. Being able to unlock/select builds for some NPC buddies and deck them out in exotic/ascended gear, then drag them along to help in dungeons and fractals would give me something interesting to do. I could do a whole post just in reply to your comment and I might at some point. You point up so many issues with GW2, how it was originally conceived, its heritage and the way it's developed over the seven years since open beta. If I was to boil it all down to one fundamental issue, though, it's that after all those years the game simply has no idea what it is or who it's for. The original Guild Wars was not an MMORPG. ANet never said it was and most MMORPG players of the time didn't consider it to be one. It was a co-op lobby game and in that context the Henchmen mechanic was 100% appropriate. It's also entirely appropriate for aging MMORPGs to add NPC hirelings as populations decline and/or clump up in the latest content so that new entrants, returners or people leveling new characters can engage with content originally designed for groups of players. GW2 is not a co-op lobby game and it doesn't yet have a dwindling population problem (megaservers fixed that). The problem it does have is an overwhelming and ever-increasing reliance on instanced content for small groups. This is something that, in my opinion, should never have been in the game in the first place. I said as much on this blog before the game even launched. I opposed the inclusion of a "Personal Story" then and I oppose it now, along with the extrapolation of the concept via the single-player instanced content of the Living Story. That is not appropriate content for any MMORPG, but it is particularly inappropriate for one that set out to breal the mould by focusing on open world content shared by all players through proximity. GW2 should never have used any form of instancing. There should have been no story instances, no instanced dungeons, no fractals and no isntanced raids. What rthey should have done is double down on the unique content they introduced successfully in the first phase: Tequatl, Marionette, Triple Trouble. Old content should all have been revised and revamped as the Shatterer was. New maps should have been added that feature similar mechanics. The Dry Top/Silverwastes model that fed into every later LS map is a lot better than instancing but it could have been done with much more elan and variety. This is going to run far too long for a comment so I'll stop, but you get the gist. Adding more solo content and mechanics to allow people to solo small group instanced content is a band-aid on a sucking wound. It would compound the problems GW2 already has. Maybe ANet should make a GW3 that's the true sequel to Guild Wars, that does seem to be what a lot of people want now. That's almost the polar opposite of what they chose to do with GW2, though, and it's painful to watch the downward drift of what was a great idea. I also don't see any real benefit in this event. Yes, I did stop playing a while ago, but I still login every day before logging in to my currently played games. I only take the login though. And no, I don't play in the near future, but I didn't turn my back for any other reason than... other games being more fun. SWTOR for half a year, WoW and FFIXIV for a few months now. I'm sure I'll come back to GW2 anyway, when I feel like it.